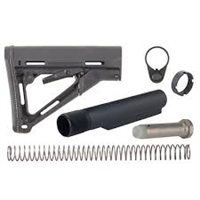 Whether you’re building an AR-15 from the ground up or you’re adding upgrades to an existing rifle, we have a wide variety of AR-15 parts for sale to see your vision through. 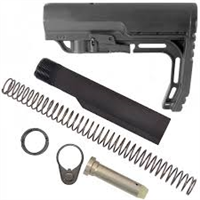 When you order from us, we ship quickly from our extensive inventory of AR-15 assemblies, barrels, triggers, muzzle devices, and much more – gone are the days of waiting on back-ordered parts. 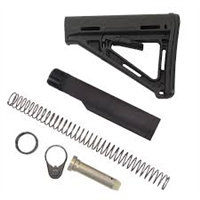 Our AR-15 replacement parts also include magazines, stocks, furniture, pistol grips, handguards, and rails to outfit your rifle to your exact standards and specifications. If you are new to Rail Systems, consider the weight, accuracy and ease of installation as you decide on the right option for your needs. Similarly, choose the right type of material for your intended purposes, especially for the barrel. If you have questions, the firearms experts at Pickett’s Mill Armory are happy to help. 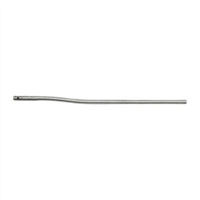 Order your AR-15 parts today.